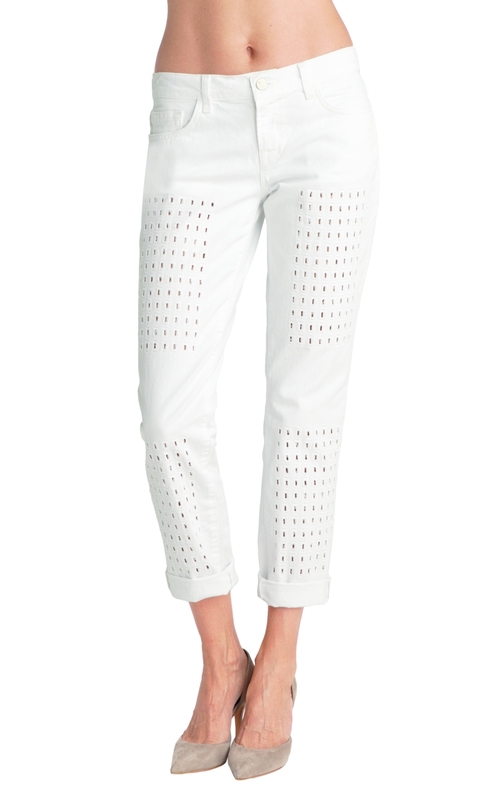 J Brand just delivered some more new spring styles and we love! The Aidan Boyfriends now quite ripped and destroyed, and the whites with eyelets in a looser fitting style, great to “flash” some skin! As for the shorts, you can choose between the longer, more traditional rolled up kind, or the shorter cut offs, and my faves, of course are the boyfriend shorts in a more bleached out and destroyed version.